(New York, NY – September 14) The mysterious snow leopard has been delivered a piece of good news. The Red List classification from the International Union for Conservation of Nature – IUCN – improves the conservation status of the big cat from “Endangered” to “Vulnerable.” Yet these iconic symbols of Asia’s great mountain wilderness still face numerous threats, many rapidly growing, in their high mountain home. The snow leopard was listed as Endangered by the IUCN Red List –the globally accepted, international standard for assessing extinction risk—for each 5‐10 year assessment since its initial listing in 1972. The change in status came after a three‐year assessment process by five international experts including scientists from academia and from Panthera, Snow Leopard Conservancy, and Wildlife Conservation Society, organizations active in snow leopard conservation. The assessment was then reviewed and approved by eight international felid and Red List assessments experts, the IUCN Global Mammal Assessment team, and the central Red List Unit. About Snow Leopard Conservancy – SLC, founded in 2000 by Dr. Rodney Jackson and Ms. Darla Hillard, aims to secure the survival of the snow leopard, by conserving its mountain habitat, enhancing local livelihoods and alleviating the human-wildlife conflict which threatens its existence. By blending traditional knowledge with modern science, SLC works in partnership with local people, to increase environmental awareness, advance grassroots conservation initiatives and involve them in non-invasive monitoring of snow leopards. By developing an appreciation for this wild cat, the ultimate goal of the Conservancy is to turn conflict into coexistence. 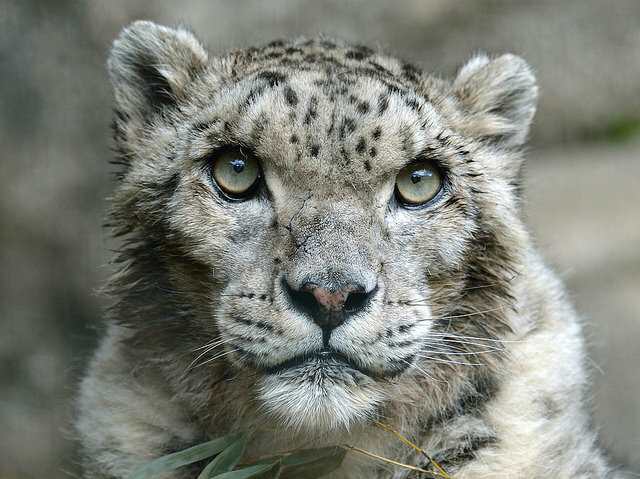 Visit snowleopardconservancy.org. About Wildlife Conservation Society – WCS saves wildlife and wild places worldwide through science, conservation action, education, and inspiring people to value nature. To achieve our mission, WCS, based at the Bronx Zoo, harnesses the power of its Global Conservation Program in nearly 60 nations and in all the world’s oceans and its five wildlife parks in New York City, visited by 4 million people annually. WCS combines its expertise in the field, zoos, and aquarium to achieve its conservation mission. WCS has been a global leader on snow leopard conservation since the 1970s, with current programs in Afghanistan, Pakistan, and China. Visit wcs.newsroom.org. For more information: 347‐840‐1242.